I can’t consider you an FPS gamer until you’ve had a Doom nightmare or two. Doom is the game that started it all, just look at any successful modern FPS and you’ll see it pretty much copies this 19 year old game. Take Call of Duty for example – the story is pretty much pointless, it’s just an excuse to send waves of enemies at you, just like in Doom. Also, with each new game, there are no new features, the graphics stay the same and it costed the full retail price on release, much like Doom. However, Doom does have one feature under its belt that the Call of Duty series lacks – Doom’s protagonist, Doom Guy, is left handed! If you don’t believe me, pull out the pistol in Doom – cannot be unseen! Alright enough talk, you know what Doom is now and you want to play it. Below are instructions on what you need and how to get the game working. The original Doom came out in 1993. It did not support online play, only local games, which means you need a third-party program to get this working. Unfortunately, they’re not all that easy to use sometimes and usually requires lots of fiddling around with networking settings. After making my friend spend hours figuring this out (whilst I chilled) I decided to steal his findings and write them up, mostly because communication is not his strong suit. Required:Chocolate Doom – There are many programs just like Chocolate Doom, but Chocolate Doom was chosen for two reasons – (1) it works and (2) it doesn’t add extra features like jumping and looking up and down, so you get as close to the original experience as possible. Required: Your I.P. address – whoever is hosting the co-op game will need to know their I.P. address so they can give it out to their friends to connect to them. You could use whatismyip.com to find this out, but I prefer ipchicken.com because it sounds cooler/sillier. Required: .WAD files – You can get the entire Doom collection on Steam and all you have to do is download and install it. You won’t even need Steam, Chocolate Doom just requires the .WAD files, so if you can get them from another source, this guide will work fine as well. 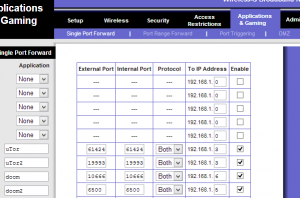 Recommended: Access to your router – You may need to forward a port. Before you dive into the instructions, this guide was created with the assumption that you are using Steam. It should work fine if you have the .WAD files, because that’s really all you need. UPDATE: There is a Mac version of Chocolate Doom and all it needs are the .WAD files in the directory you download the .dmg file. Your Steam copy should work fine, or you can use whatever .WAD file you have. The first step is to actually download and install the Doom games you want to play. If you have Steam, you simply need to download them, you don’t even have to launch them once or anything. If you are using the .WAD files on their own, keep them in a memorable location for now, you’ll need them in step 3. Download Chocolate Doom. It should download an archive/zip file – extract that to any location you want, it doesn’t matter, just as long as you can remember where it is. You now need Chocolate Doom to know where your .WAD files are. If you have the Steam version, it seems to automatically find them. If you have the individual .WAD files, the best way for Chocolate Doom to recognize them is to copy and paste them into the directory you extracted Chocolate Doom. If 6500 doesn’t work, try something much bigger that’s unlikely to be used like 31337 (seriously), you’re essentially trying to find an unused port. Now you need your I.P. so your friends can connect to you. Simply visit one of the sites above (or however you obtain your I.P.) and copy and paste the address to your friends. I’ll show you how to connect later. The final thing you need to do is create the server, so go ahead and launch chocolate-setup.exe in your Chocolate Doom folder. You’ll be presented with the most retro screen a console gamer has ever seen. Now, once you go back to the main menu click “Start a Network Game”. If you installed your .WAD files correctly, in the list of games, you should see all the games for your corresponding .WAD files. Select the one you want to play. Set your difficulty settings and choose what map to start on and “game type” should already be set to co-operative. The last thing you need to do is change that UDP port. Use 6500 or whatever you decided, then click “Start”. Finally, you should now be presented with a lobby screen. This is when you get your friends to connect (see below) and then press “Start Game” once they’re all in and off you go! Click on “Join a Network Game”. Type your hosts’ I.P. 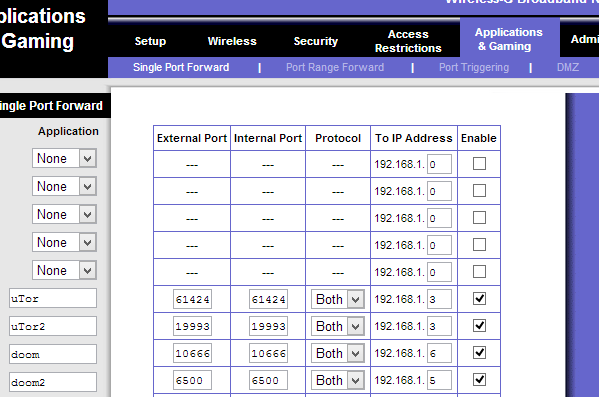 address with the port like so: ipaddress:port. So for example, if your address is 76.34.223.21 and the port is 6500, type in 76.34.223.21:6500. You now have everything you need to play a co-op game of the old Doom series with your friends. As I stated earlier in the guide, the main menu for the Chocolate Setup program has a lot of configuration options. I suggest tweaking these to set the right resolution and controls etc. Chocolate Doom isn’t perfect – there appears to be some mouse/movement lag that feels like mouse acceleration or vsync is turned on in multiplayer, but it’s nothing too drastic. 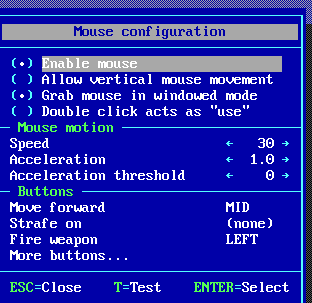 I also don’t know how to turn off friendly fire, which would be quite helpful. As I said, fiddle with the settings and remember this is only a basic guide – you may find additional help elsewhere. If you have any questions, comments or tips/suggestions, please feel free to leave a comment on this post. This entry was posted in Gaming, Tutorials and tagged chocolate doom, co-op, co-operative, coop, cooperative, doom, DOS, DOSBOX, multiplayer, nostalgia, online, PC, steam. Bookmark the permalink. Post a comment or leave a trackback: Trackback URL. I was wondering how do you do the Linksys step. Do you have to go onto the computer where the router is connected to? That will let me login to my router settings. The address is different and the default username and password is different depending on router/manufacturer. You can usually access the router from any computer connected to it in the network. Which version of doom do i get on steam to make this work? Doom 1 and 2 work with Chocolate Doom because those games used .WAD files. Any variant of Doom 1 and 2 should work (Ultimate Doom, Final Doom, Doom 2 etc). Which version do you want to play?